Leilani Livingston Jones’ professional philosophy includes working as a team with her clients, and aggressively advocating for their interests. Personal investment is her priority, whether it’s handling complex commercial litigation for a business, defending employers in harassment and discrimination suits, or representing policyholders in insurance-related matters. She is a utility player for her clients, with a wide range of experience in all aspects of business, employment, and insurance litigation in both trial and federal courts. Lani knows the importance of being fully equipped to assist with any issue—from trade secrets and business torts, to labor and employment advisement, to insurance bad faith. Represented an employer in a 5-day jury trial brought by a former employee for wrongful termination and discrimination. Successfully mediated multiple gender discrimination and harassment suits brought against employers by former employees. Represented a manufacturer in a Lanham Act violation, achieving a full dismissal and successful opposition of post-judgment motions. Prosecuted numerous class action lawsuits under the Telephone Consumer Protection Act, helping her team secure settlements of $11.75 million, $25 million, and $3 million. Represented a builder in multiple coverage disputes arising from underlying construction defect matters. A graduate of the University of San Diego Law School, Lani served as a committee chair of the Business Law Society and was President of the J. Reuben Clark Law Society. Her real passion in law school was pro bono work, and she dedicated hundreds of hours as a student associate at USD’s Entrepreneurship and Veterans Legal Clinics. She also worked as a research assistant on employment law matters, as well as a teaching assistant for Property Law. Lani is an Orange County native, and enjoyed interning at both the Orange County District Attorney’s Office and the Newport Beach City Attorney’s Office while in law school. 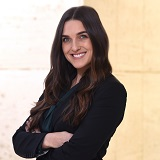 Currently, Lani serves as Treasurer of the Orange County Young Republicans, an executive board member of the J. Reuben Clark Law Society, and is active in her church community. She received a full academic scholarship to Brigham Young University and remains a die-hard Cougar fan. When it’s not college football season, you can find Lani competing at a CrossFit event or spending weekends at the beach. Payne & Fears LLP secured a victory on behalf of client Craftwood Lumber Company in a Telephone Consumer Protection Act (TCPA) litigation in Illinois state court. The Lake County Circuit Court granted final approval of the $11.75 million class settlement that the Firm secured for recipients of faxes announcing price changes for Hardware Resources products. The court noted that none of the 26,000 class members had objected to the settlement, and only nine class members had opted out. Payne & Fears LLP received a major victory in the RehabCare Group Telephone Consumer Protection Act ("TCPA") litigation in the Eastern District of California. Judge Dale A. Drozd released his decision granting final approval of the $25 million class settlement the Firm had obtained for recipients of "Polaris Group" junk faxes. In its 24-page decision, the court concluded that the settlement easily qualified as "fair, reasonable, and adequate." $3 Million "Fax Blast" Settlement Reached for Client Craftwood Lumber Co.
Payne & Fears client Craftwood Lumber Co. struck a $3 million settlement with Senco Brands Inc. over alleged violations of the Telephone Consumer Protection Act and the Junk Fax Protection Act.